The actual living costs of a fight camp is often very different from what guys budget for. Living in Thailand can be very very cheap but there are also many ways to blow your six months savings in half that time. Here is a breakdown of actual real life costs. The monthly training costs are roughly the same whether you are training at Tiger Muay Thai, Phuket Top Team, or even the smaller gyms like Dragon Muay Thai and Suwit. Places like Fairtex are a bit more expensive and places in the north like in Chiang Mai are a bit cheaper, but the training cost itself is only half of it. Prices are based on 30:1 exchange rate for USD to Thailand. Now in 2016 the exchange is currently 35:1 making everything 20% cheaper! Entertainment - Visit temples, the big buddah, relax on the beaches, go hiking, sneak into a resorts pool, play board games, watch TV and DVDs, internet - all free. *You can save $133 a month by paying for 20 classes per month instead of unlimited, which will be good for 1 class a day, 5 days week and training on your own on your off time. New total: $543 a month. So yes, it is possible to live super cheap out here in Thailand which is what I've been doing for the past three years now on and off. After reading the book by Tim Ferris, "The 4-Hour Workweek" I decided that for the cost of one month's rent alone back in Los Angeles, I could live, train and eat out here, I made the move. However, here are common add ons that will eat into your budget: Some of them are necessary to live and others are out of convenience and comfort. 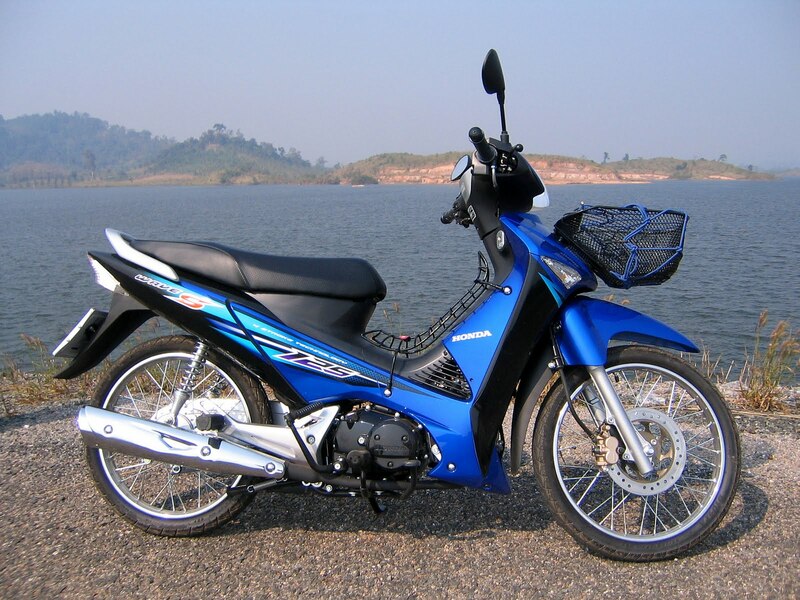 What Thai's call Manual bikes are actually semi-automatic since there is no clutch. If you are staying for three months or more, it is much cheaper to buy a 2nd hand motorbike because you can sell it when you leave for roughly the same as you paid for it. Buy a Honda Wave, Honda Dream, or a Suzuki Swift for easy repairs and resale for about 10,000baht $334US and sell it for 8,000-10,000baht when you leave. If you are in Thailand and you are pushing your boxing in Muay Thai and MMA, you really should treat yourself at least once a week to a Thai Massage. Prices range from 150 baht an hour if you go to local places, and up to 300 baht an hour at Phuket Spa, where you get to use their steam room, jacuzzi, and swimming pool for free. $5US - $10US per hour. Actual Comfortable Budget per month including Training, Accommodation, Food, and Extras - 24,110 baht per month including weekly massages, movies, and a motorbike. $804 US Dollars. However, there is an evil that will kill you budget and about 50% of guys that come train Muay Thai and MMA end up falling for it. It's called Patong. If you start going there, you will not stop. Luckily most guys will only go on Saturday nights, but many end up going a few times a week. 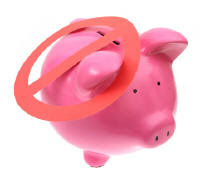 Here's what to add to your budget if you do. If you think you'll save money driving there, you have a big chance of getting into an accident, even if you only have one or two drinks. 20,000 baht or more. $666US. Drinks are much cheaper in Thailand than back home. But if you compare it to food it's actually really expensive and it's terrible for your training. 60baht per drink $2US. If you're a single guy, drinking in Patong, after spending all week with a bunch of dudes in a house training, you spending 2,000 baht might now like such a bad idea. 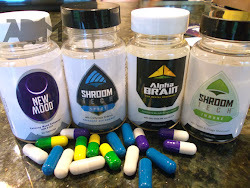 $67US. So even with going crazy every weekend, it's still relatively cheap to eat, sleep, train, and have fun in Thailand. But if you're serious about training and getting in shape, I'd suggest you make a pact to yourself to not go to Patong until the last week before you leave, which is what I'm going to try to do. I made a pact to myself not to drink while training. You lose an entire week's worth of gains every time you spend a night drinking, when I'm here to train, I'm here to train. I've updated this for 2016 and everything still holds true, especially since the U.S. dollar to Thai Baht is now wayy better for Americans. 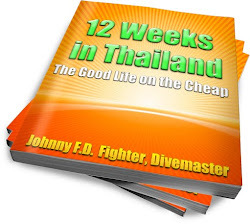 Download the first chapter of "12 Weeks in Thailand: The Good Life on the Cheap" for FREE. Read the book today if you plan on coming to Thailand. It'll save you tons of money and headache. Hey nice breakdown of costs (wouldn't be complete without the bar girls haha). Hey of course, you're welcome to post it. I heard most places around the tiger/dragon muay thai overcharge on a lot food, is their good/cheap places around their? DirtyWhiteGi - Not a problem at all man. And yup, the bar girls definetely end up being a bit part of some guys budgets. Jim - Food on the Tiger/Dragon/Top Team street is catered towards foreigners so it's a bit more expensive, but you also get English menus and English speaking staff, and food that isn't as spicy. Places like Tony's and MaMa's is around 50-60 baht per meal ($1.66-$2) and the newer hot spot Ja Ja's is the cheapest at 40 baht $1.33US for all thai dishes over rice such as Fried Mixed Veggies, Chicken Basil, Chicken stir fried with green peppers and onions, Pad Thai Noodles, or Garlic Pork over rice. Local places might be 30-40 baht. So a bit cheaper but usually not worth the effort unless you want to eat something new and different. I am going to be training at Suwit gym for 3 months next year and i have been trying to work out how much I should budget. This has answered a lot of questions I had. I couldn't find an email to ask you a question through but ill just post here. I'm from australia and have a decent background here in amateur boxing - id love to do a 3 month camp just as you have done and im just curious as to which you would suggest the best/most economical for western style boxing (this is where my heart really lies). Or would you say just take the plunge and train muay thai (i just don't know how hard it would be to adapt from traditional boxing). Thanks for your effort to reply and i have really enjoyed reading your blog! There's a reason my email isn't posted anywhere on this site...I prefer answering questions through the comment form so others can benefit from the answer. If you're just going to come do boxing, don't bother. The boxing programs here are good, especially with Silvu Vulc at Phuket Top Team, but why come all the way to Thailand and not at least try some Muay Thai. The only reason not to is if you are trying to go pro in boxing back home and don't want to mess up your style. I'd say, give Muay Thai a try and if you have to, you can always fall back by buying a 10 card pass to boxing, and do privates on the days that it's not offered. just wondering im wanting to become a pro mma fighter but the thing is im pretty low on cash if i go there is there a chance I can get a job on camp? hey johnny, where exactly do you get wate refills at? is it close to the tiger muay thai? Job - Best chance is to contact the gym directly and ask if you can work there in exchange for training. Good luck. Water - It is literally, directly opposite from TMT. Great blog. Thanks for sharing your experiences here. This has given me loads to think about prior to my trip next year. Are there any other blogs that you recommend? do you think its possible to get work at a resort if you have your rsa and rsg? Flight's change a lot. I use kayak.com to check prices. A lot of the time I fly through Eva air because they let you do open return tickets without extra cost. Enjoyed reading this post! Mostly cause I like knowing the costs of things in different parts of the world. Great blogs... I am actually in the beginning stages of planning my trip to Phuket ThaiLand to do some training myself. Your blogs are really helping understand what i need to start saving up for.. I was quite happy in the fan rooms, but it does get hot. It's not the hot season right now but during the day it's still really warm, like up to 90f warm. If you're the type to need A/C, go for an A/C room. I personally dislike AC because it makes me sick. I was perfectly happy with the fan room, although I wish PTT would have build a window on the back wall of the rooms for airflow. Mosquitoes aren't bad at all, you can buy some mosquitoe cream at 711, and what I did was buy an electric tennis racket if one was in my room. But compared to the rest of thailand, Phuket and Chiang Mai both seem not to have many mozzies at all. Your blog is really helpful for first time visitor. I am flying to Phuket for MMA training for 2 weeks. i cant wait to go. thanks for your blog, information, and advices you put on this site. Hey amazing blogs really insightful so Firstly i have to say thank you! In Phuket, it is 10 baht for a 10 litre jug of water. I usually go through two a week, making it around 80 baht per month. In Chiang Mai, there are machines everywhere that give you 1-1.5 liters of filtered water for 1 baht which is around 80 baht as well. The good thing about Chiang Mai is all Thai restaurants give you free water with your meal. In Phuket. only some do. I recently come back from my first trip to Thailand, I had no intention of doing muay thai there but I had trained it around 10 times last year in the UK, I walked past a gym and thought "when in rome! ", I trained in bangkok and phuket, I'd love to go back to Chaing Mai and train, its nice and cheap up that way, I'll buy your book at the end of the month, I'm keeping to a tight budget. Hey glad you had a good first trip to Thailand and ended up doin gMuay Thai. I've heard good things about KYN and will check it out on my next trip. But life in Chiang Mai is definitely easy and super cheap. Looking forward to hearing about your next trip, enjoy the book! Really like the blog. I've been thinking of coming down to Thailand to train for a while now, and your blog/book (just previewed it till now) have convinced me to take the jump. However, I'm not sure I can adjust to the life there so I was thinking of coming down for a one month period to test the waters initially. Is this enough to get a feel of things at least? I ask because I don't have the funds to come down for 3 months or more. Having read your blog (and some others), I get the impression that places like Chiang Mai are more suited to those who don't want to be distracted by the nightlife/women/alcohol etc. Is this true? And finally, I was thinking of coming down during August/September, since I believe that is the off-peak season in Thailand where air-fare and accommodation are a lot cheaper. Once again, thanks for the blog and best of luck. Hey Nash, glad you are enjoying the blog and the preview of the book. Definitely come for one month if that's what you can afford for now. But trust me, once you're here you'll wish you could stay longer. Chiang Mai is a fantastic place to just focus on training and not get swayed by the vices of Thailand and Aug/Sept is a fine month to come, but honestly, sooner the better. Accommodation price doesn't change much so it'll just be airfare. Do read the book before you come, it'll save you far more than the $24 it costs to buy, I money back guarantee that it will. Cheers man. Thanks for the prompt rely. Buying the book right now. Hi there Johnny, fantastic blog mate and will be buying the book once pay day rolls through! I'm 21 in June and have always dreamed of starting fight training how ever due to personal circumstances I have struggled, I have done some light boxing but that's about it. I'm looking at going to train at PTT for 6 months, how ever I'm worried that my lack of experience will be a big down fall for me. Whilst there I would be there to train, looking at doing MMA but would be rude to not get involved in some Muay Thai! After looking in to the trip some more I've fell in love with the country and I believe it could be the trip of a life time. Thanks for the brilliant read and keep on blogging! Hey Gamble, sounds like you are going to have an amazing 6 months when you do come. Keep on training and be fit when you arrive. Don't worry about the lack of experience, a lot of people that come are beginners. Enjoy the book when you get it and keep in touch. Which lodging is the cheapest AC room near Phuket Top Team? I am anticipating eating and falling asleep after each training session so I didn't want to go too far. thanks again. Great book! The closest AC room near PTT is the new onsite deluxe rooms, which is nice because you can save 5-10 minutes of walking before and after each class and it will be more social as you will be living at the gym. The cost is 13,500 which is pretty expensive but it may be worth it if you want to be on site. Within a 10 minute walk there are rooms at Tony's Restaurant and Ja Ja house with rooms around 10,000 baht or less, including A/C. Nice read! I like the suggestions. Thank you for doing this. Fantastic blog, loads of helps. I'm 50 been doing a bit of boxing and MT in my fitness workout. Never compete and no intention now. Just wanna stay fit and keep in shape and... enjoy my vacation. My worry is will I be accepted to train at my comfort pace? Hey Amran, glad you enjoyed the post! Make sure you read www.12WeeksinThailand.com if you're planning to come out. You can train at your our comfort, no worries. I am prince I am 24 and I am from India. I am interested in joining your camp to get MMA training,so I would like to know what are the scopes after completing the training? Is there scope from your side to get me a platform to participate internationally? And after paying the course fees how will I get visa to get to the camp? Hey Price, simply contact the gym you want to join and ask them. =) I don't arrange fight camps for others. As of today march 8th 2016, where is the cheapest place to get a room with private bathroom near Tiger Muay Thai? Also is it wise to neg room, training, before leaving? I plan on being there 6+ months? Where is the cheapest place to buy gear? Hey it's been a while since I've been there but in general it's still best to stay in the cheap rooms on site. Gear is a bit cheaper if you can find it on sale in the U.S. before going. Make sure you read 12 Weeks in Thailand: The Good Life on the cheap before you go as it'll save you a ton of money. Thank you for taking the time to write this. I'm looking to train in muay thai and I was wondering what the cost would be to travel and train there. Awesome refence and information ! Thanks again ! Hey really glad to be able to share the info! If you're serious about coming to Thailand to train, make sure you read my book http://www.12WeeksinThailand.com as it'll save you a ton of money! Hey thanks for the article. I'm an 18 year old student who is looking to take a gap year to fight in Thailand for a while. I have no professional or amateur fights but have a year and a half of training in Muay Thai and spar often at my home gym. How do you think someone of my experience level would transition to fighting in Thailand? Also what gyms would you suggest for someone who also wants to train mma out there? Hey Jake, really good idea to come on a gap year. You'll be fine to start fighting after 2-3 months. Search the blog for my experiences with different gyms or better yet, read my book: http://www.12WeeksinThailand.com as it'll give you the best overview, recomendations and money saving tips. Thanks for the article. So I'm an 18 year old student and am hoping to take a gap year to fight in Thailand. I have no professional or amateur fights but have trained Muay Thai for about a year and a half now and sparred a lot at my home gym. How well do you think someone of my experience level would transition to fighting in Thailand and do you have any suggestions on which gym I should train at? I want to go to Thailand/Phuket since 6 month now, really love to make the experience to train under the sun of Thailand. So..I will go there alone now.I look for a clean, nice camp where I can do regular beginner training and if possible some weight loss sessions. No fighs, no head banging a.s.o. Could you give a suggestion to me? Would be so great..
Should not be over-expensive. Ofcourse it would be great if there were some other women or at least where its normal that women are training too. In the MMA club where I train here in Hamburg I am the only woman, its a little hidious sometimes. Hey Caren, great to hear from you. I think you'll love training in Phuket for a few months. Don't worry about going as a solo woman. You'll meet other women and male friends there. The ones I'd look into are Tiger Muay Thai, American Top Team and Phuket Top Team, all in Phuket. You can ask them how many western female they currently have training to get an idea. Best of luck! I'm a women and going solo in Thailand! Going in late September this year. I researched lots of gyms and picked Rawai Muay Thai in Khao Lak. It just seemed to fit what I was looking for. At least for this trip. Oh, and I'm also from Germany :) the only female fighter as well, and yea. Hideous. haha. hei I want to go to pukhet to train 2-3 months. what do you advise for renting a room ? is internet of the rooms onsite good ? sometimes I would need to work? for food they offer these meal plans worth it ? Hey my advice is to read my book 12 Weeks in Thailand (www.12WeeksinThailand.com before you go as it answers your questions. Phenomenal Like lowes client benefit superior to anything home stop post you have shared here. TMT composes numerous exercises, for example, wakeboarding, Sundays at the shoreline club, partys and a wide range of preparing, and games around Phuket. For those exercises TMT deals with smaller than expected vans for every one of the visitors who need to join. Twice every week, the Bodyfit classes are on the shoreline or at Big Buddha. for 100 Baht you recover a lift there and. Be that as it may, in the event that you need to find Phuket all alone, there are loads of different potential outcomes for you to get around..Really this post is usefull for us. Hi, going out to Thailand to train for 2-3 months is something I'm seriously considering. Could you please guide me in the right direction in terms of visas accommodation etc as I am coming from the uk. Hey Leeroy, have you read 12 Weeks in Thailand Yet? (http://www.12WeeksinThailand.com) it's all about where to stay, visa, accommodation, etc. I'm seriously considering moving to Thailand for about 3 months, could you please guide me in the right direction in terms of visas and places to rent/stay. I am from the uk. I trained at both Tiger Muay Thai and Phuket Top Team and living off a combination of fight purse, savings, and scuba diving. But most of it was just living cheaply. Read my book www.12WeeksinThailand.com for the details.